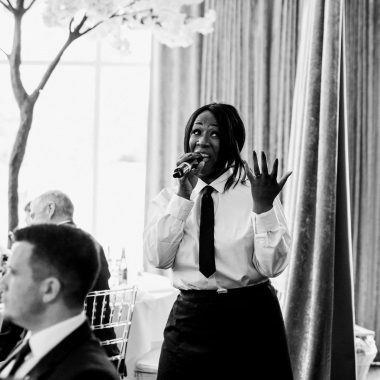 A bespoke package which features a live jazz band, surprise singing waiters, musician waiters like saxophonists or trumpet players (all usually over your meal) and two epic party sets later in the evening! 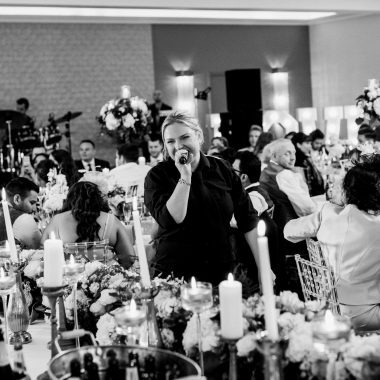 As she comes to the end of her song, her and the band start to take a bow, lapping up the applause… but you hear another voice… where is that coming from? Its another waitress! She’s walking in from the back of the room, soulfully belting out the top notes like a diva. 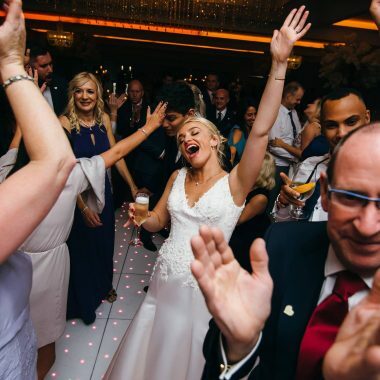 The band start to catch on, and start to play underneath her, leading her into the full song like pros, and she too works the room, getting people up out of their seats and dancing along. 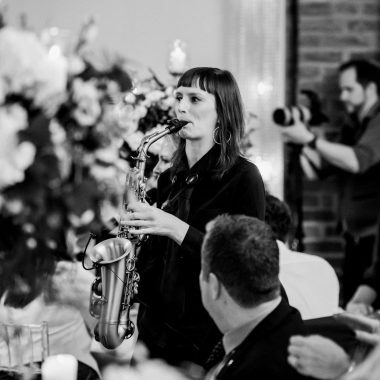 Just when you thought you’d been surprised enough…she makes her way over to a door, opens it, and out bursts another waitress, this time on a saxophone, who erupts into a saxophone solo as she makes her way towards the crowd of people that are now dancing at the front of the room. The song ends, and the three waitresses come together, explaining they are not in-fact waitresses, but they are here to entertain you! 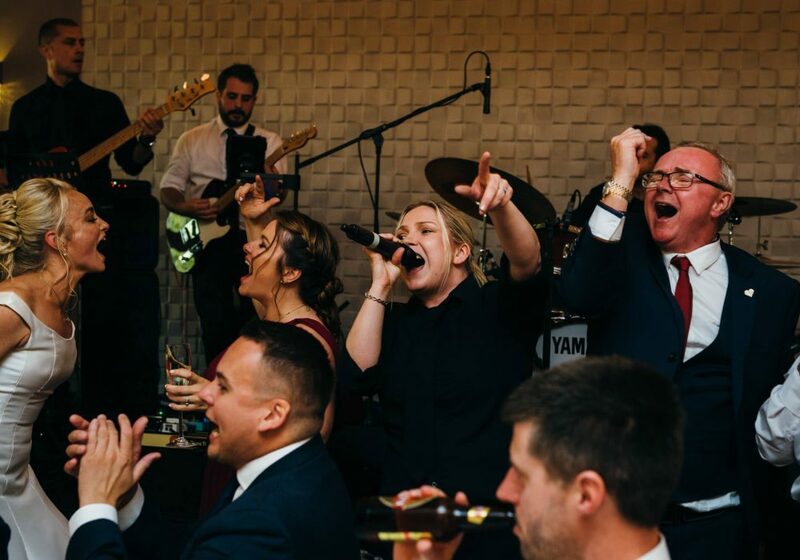 The drummer counts off another song, and the three waitresses then join the band on stage to perform more music for you and your guests. This can then lead straight into the bands first party set, or, the band will play a few songs and then take a short break so the girls can change to their more glamorous costumes. We can also provide this with male singers or a mix of male and female. 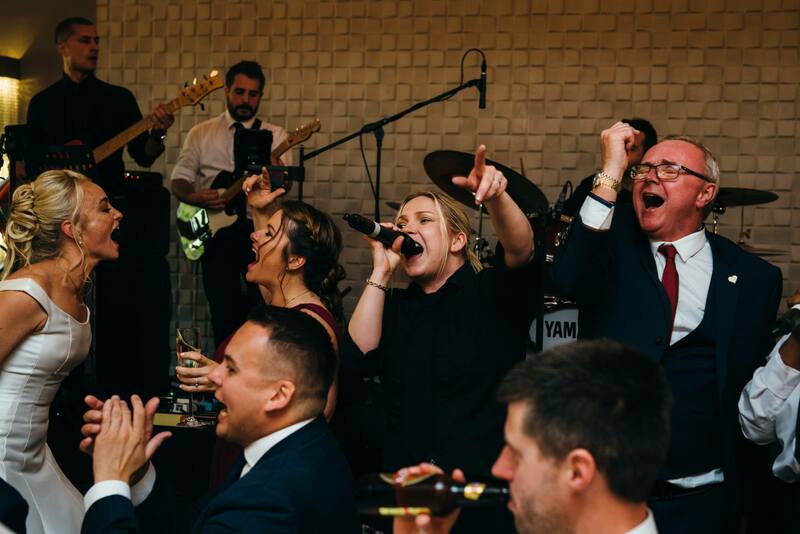 1 x 20-30mins dynamic set where our singers come out of the woodwork and shock everyone! Up to 2 x 70mins of party music.